Jaguar Scissors have a long and distinguished history! Kurt Schmidt founded the company called ‘Kurt Schmidt KG’ in 1932, in the German town of Solingen, then, later, in 1967, Kurt Schmidt’s sons, Frank, Hardy, and Kurt Schmidt Jr., joined Kurt Schmidt KG. 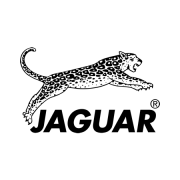 Later that decade, the brand name ‘Jaguar‘ was introduced for hairdressing scissors, and, in 1974, the brand name came to replace the company name. Jaguar Scissors are set apart by virtue of their high quality and today Jaguar has became one of the world’s leading manufacturers of hairdressing scissors, selling in more than 80 countries today. Jaguar continues to work intensively and has made numerous innovations in the field of hairdressing scissors. Direct Hairdressing Scissors have a great deal of experience with these products and are happy to provide you with advice and assistance. Call us on 01270 630280 and we will be happy to help you. View our German Scissors section for more high-quality hairdressing scissors and thinners from Solingen.